The use of probiotics to maintain and improve overall health has grown in recent years. Typically recommended to treat digestive problems encountered during antibiotic therapy, emerging evidence shows that probiotics may provide benefits to oral health as well. Positive reports about how probiotics can help combat dental caries, periodontal diseases and oral malodor have boosted interest in their use. By educating patients about the benefits and proper use, dental hygienists can help patients understand how probiotic therapy can improve oral health. Probiotics are bacteria that—when present in sufficient numbers—can help the body maintain a healthy balance of microflora. The most common use of probiotics is to restore the body’s beneficial bacteria after antibiotic use. Probiotics are available in dietary supplements, yogurts, suppositories and creams. In the oral health care arena, probiotic-infused chewing gum and lozenges are also available. Probiotics can be used to prevent disease from occurring and as a first line of defense. Some patients, however, may not understand how probiotics can improve their oral health. For those who may benefit from this therapy but are slow to embrace change, dental hygienists can provide education and motivation to help them better understand the benefits of probiotics. “The best way to discuss probiotics with patients is to begin with what they already know”, suggests Sarah DeBowes, RDH, BS, MS, adjunct clinical instructor at the Hirschfeld School of Dental Hygiene, Old Dominion University in Norfolk, Va. “Ask them if they’ve ever heard of probiotics, and if so, what they know. This gives dental hygienists the opportunity to evaluate the patient’s current knowledge so that education can be tailored accordingly,” she says. If a patient is unfamiliar with probiotics, DeBowes explains, the dental hygienist can help the patient understand the basic concept of how they work by explaining that antibiotics kill “bad” bacteria, while probiotics deliver “good” bacteria that can improve oral and systemic health. Are You a Good Candidate for Probiotics? A number of over-the-counter probiotic products are available. According to DeBowes, these types of probiotics are best suited for those who struggle with oral malodor, gingivitis, periodontal diseases or dental caries. 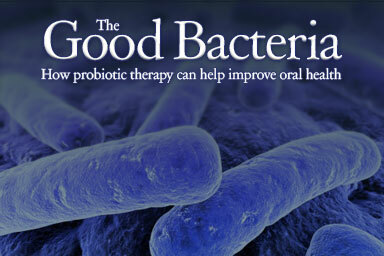 “Probiotic research shows great promise in reducing the severity of these conditions by incorporating good bacteria into the oral cavity, and helping to restore the balance of a healthy mouth,” she says. For patients who want to reduce the incidence of dental caries, probiotics may offer a valuable adjunctive treatment. One study found that adults who used probiotics experienced significantly reduced plaque accumulation compared to individuals in the control group. Another study focused on how probiotics fight cavities, or caries. Study participants consumed probiotic-infused milk on a daily basis for seven months. At the end of the study, the children who consumed the probiotic-infused milk demonstrated a significant reduction in caries compared to the control group that drank plain milk over the study duration. 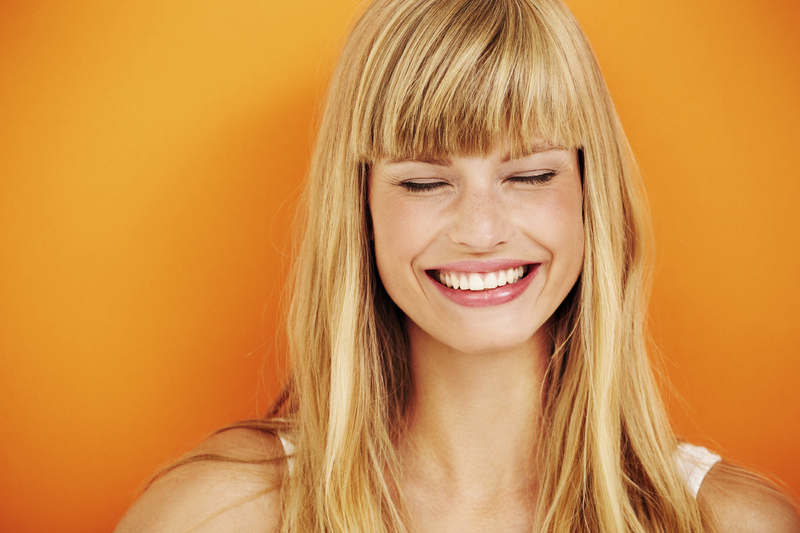 Patients affected by periodontal diseases may also benefit from probiotics. Separate studies have shown that the probiotics Lactobacillus casei and Lactobacillus brevis both exhibit beneficial anti-inflammatory effects among subjects with periodontal diseases. Optimizing the beneficial effects of probiotics requires accurate education provided by the dental team. Clinicians need to explain specifically how probiotics may improve a patient’s oral health, which should be followed by instructions on how to properly use the product. Probiotic’s side effects are typically mild and include gas and bloating.6Probiotic products are not for everyone, however. DeBowes and Rothen agree that immunocompromised patients should avoid probiotic supplements because of potential negative side effects in this patient population. Probiotics show promise in their ability to reduce the severity of dental caries, periodontal diseases and oral malodor by incorporating good bacteria into the oral cavity and helping to restore the balance of a healthy mouth. As more research is conducted on probiotics, it is likely to solidify their therapeutic applications, and perhaps reveal new ones. This is good news for dental hygienists and their patients, who will potentially enjoy an expanding set of easy-to-use tools for preventive care. 1. National Center for Complementary and Alternative Medicine. An introduction to probiotics. Available at: nccam.nih.gov/health/probiotics/introduction.htm. Accessed December 26, 2012. 2. Kelsch N. Understanding advances in naturally occurring probiotics—their role in a new daily oral health care regimen. Compend Contin Educ Dent Suppl. 2011;32:18–20. 3. Harini PM, Anegundi RT. Efficacy of a probiotic and chlorhexidine mouth rinses: a short-term clinical study. J Indian Soc Pedod Prev Dent. 2010:28:179–182. 4. Twetman S, Stecksen-Blicks C. Probiotics and oral health effects in children. Int J Paediatr Dent. 2008;18:3–10. 5. Staab B, Eick S, Knofler G, Jentsch H. The influence of probiotic milk drink on the development of gingivitis: a pilot study. J Clin Periodontol. 2009;36:850–856. 6. Riccia DN, Bizzini F, Perilli MG, et al. Anti-inflammatory effects of Lactobacillus brevis (CD2) on periodontal disease. Oral Dis. 2007;13:376–385. 7. Bonifait L, Chandad F, Grenier D. Probiotics for oral health: myth or reality? J Can Dent Assoc. 2009;75:585–590. Dr. Sally Kashani DDS is one of the Top Dentists located in Hollywood. Her sincere passion to provide outstanding dental care to her patients is at the forefront of why many patients love her. She’s not only knowledgeable in the field of dentistry but super friendly and compassionate – aspects that separate great dentists from good dentists. See Dr. Sally’s Yelp reviews! Refreshments, the latest magazines, you can expect a great environment that caters to your needs at Dr. Sally’s full service cosmetic & restorative dentistry office in Hollywood, CA. “Full service” means Dr. Kashani offers all procedures whether it’s a routine dental check-up, teeth whitening, or periodontal surgery. Dr. Sally wants you to achieve the best smile you can! Her latest video gives you an inside scoop on what it means to be a patient at her private dental practice located in the beautiful city known as Hollywood. It’s only a taste of what’s to come… enjoy! 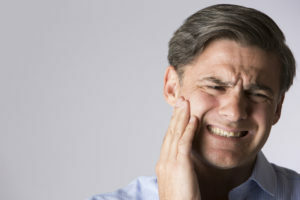 Signs and Symptoms: While people may notice their clenching and grinding habits, they may not be aware that its causing headaches, teeth damage and jaw pain that can progressively can get worse. A sudden onset of signs and symptoms include muscle pain, stiffness, limited range of motion in jaws, pain on opening the jaws, headaches, fullness in the ear, pain on pushing on the muscle and joints. 1. Soft Diet – Avoid hard foods (e.g hard meat, junk food, chewing gum). Hard foods delay the healing process. A soft diet will allow your chewing muscles to rest. 2. Moist Heat – Use a HOT WATER BOTTLE or roll a bath towel lengthwise, wet it, fold and place in a plastic bag. Put in a microwave and heat on high for 5 mins. Carefully remove, and cover with additional bags to prevent burning. Put around your jaws or neck or anywhere that is sore. Keep on for 20 min. Do this 3 times a day. The benefits are reduction of pain, vasodilatation and increase in blood circulation in your muscles and joints. 3. Medications – Medications are to be taken by your doctor as directed. Ibuprofen (like MOTRIN or ADVIL) has anti-inflammatory properties and is great for muscle and joint pain relief. If you are able to take Ibuprofen, take 400-600 mg every 6 hours for a few days until you notice the pain getting better. Muscle relaxers can also be prescribed by your Dentist and can often cause drowsiness. Pain meds and muscle relaxants are usually given for short term. 4. Splint Therapy – Occlusal splint therapy is a non invasive method of managing pain. Oral appliances such as occlusal guards or night guards are used to help muscle relaxation and decrease the damaging effects of grinding and clenching at night. They are similar to orthodontic retainers but are not used to move teeth. They are made out of thick resin and used primarily at night to help stabilize the jaws. They can also be worn during the day. 5. Stress Reduction – Stress may increase muscle tension and affect sleep. Try to reduce daily stress and start to take notice of when you are clenching or grinding your teeth during the day at stressful moments. Make sure you breathe deeply in through the nose and out though the mouth. 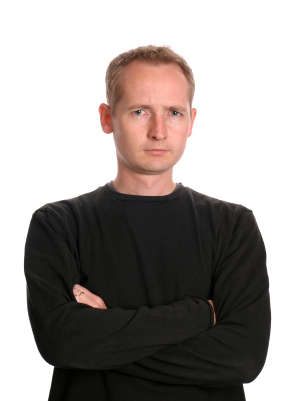 Keep your posture erect to help relieve muscles. position. If you have acute pain, wait until you can function better before doing hinge exercises. – Rest tongue gently in “N” position at roof of mouth. Saying N will help you find the position. Do not touch upper teeth. – Do not press or hold tongue, your tongue should naturally be in this position. This helps to keep the teeth apart and relax the jaw muscles. – Open and close mouth 1 to 2 finger width apart smoothly and rhythmically. – You can also do this exercise and hold the potion for 5 seconds each time to help relieve muscle soreness. These muscle exercises will help train your jaw muscles to stay relax and relieve tightness. Overtime reduces with clenching and grinding as well. Your sinuses are basically a network of hollow chambers in your skull that let air through, before it gets to your lungs, so it can be warmed and humidified. Usually, your body has a mechanism that keeps your sinuses clean, but in some instances, the bacteria can get out of control and cause an infection. In some situations, a sinus infection can feel like a toothache. It is less common but a dental abssess or infection can affect your sinuses. How do I differentiate between sinus pain and dental pain (i.e. toothaches)? During winter many patients come to the office mistaking a sinus infection for a toothache. A common symptom is they feel the toothache when they walk around or move. They have also had a history of a recent cold or flu. A dental xray will also show the sinus as “cloudy” but the tooth as healthy. Sinus infections may be treated a variety of different ways including humidifiers, nasal sprays, antibiotics, or decongestants. However, toothaches could point to something serious so it is best to make sure nothing serious is present by consulting with your dentist first. Your dentist can determine whether or not your sinus has dropped from a dental xray. Dental Implants along with a sinus lift will move the the sinus lining back up and can push out settled debris. Patients often report better breathing after a sinus lift procedure and no more “toothaches”! If in doubt seek dental advice to determine what is causing your discomfort. A dental x-ray can go along way in uncovering the source of your nagging pains. If you have lost upper teeth or notice bizarre changes within your sinuses, then I would be happy to consult with you to discuss your concerns and work towards improving your quality of life! When there’s a series of recurring cases that are just too similar to ignore, it usually leads great minds to come together and resolve issues otherwise overlooked. A group of professionals came together after realizing just how transparent the relationship between periodontitis and cancer was becoming. In a collaborative effort to uncover the facts once and for all, the research group at the Harvard School of Public Health, the University of San Juan and the Dana-Farber Cancer Institute set out to analyze their results. The study was conducted by reviewing 51,000 male health professionals between the ages 40 and 75. Before the study, members of this study had a theory that stated that any male that had previous history with periodontitis had a high risk of developing cancer. The study proved positive to this theory and it is almost scary just how common periodontal disease is. Although common, it is extremely important that patients understand that the earlier the periodontitis is discovered the better it is to treat it. In most cases, periodontal disease can be resolved but there will be some situations where surgery might be needed. Periodontal disease is not only treatable, it’s actually fairly preventable. Many men might develop this condition due to poor oral hygiene and it often results in infection around the tissues that support the teeth. 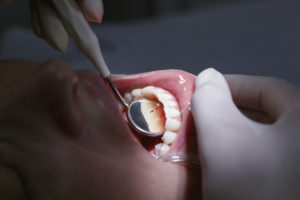 Periodontitis attacks just below the gum line, where it causes the attachment of the tooth and its supporting tissues. Before the study, many professionals believed that periodontitis could result in heart and lung failure. Now, we are well aware of the results of this conditions, which could be pancreatic cancer. Dr. Sally offers periodontal care & maintenance in Hollywood. In most cases, a professional cleaning will work wonders. That is if the case is in it’s initial stages, but for more complex and advanced cases, surgery can an option. Remember that anything is better at this point when it comes to treating periodontal disease and avoiding developing pancreatic cancer. In most cases, the risk of developing periodontal disease can be avoided by brushing twice a day and cleaning between the teeth with floss or an interdental cleaner once a day. For other unusual cases, a professional can provide additional instructions on cleaning methods or products for use at home. For periodontal disease care & correction in Hollywood, visit Dr. Sally’s office! If there is anything to keep in mind when it comes to avoiding periodontal disease is establishing a controlled brushing routine, a nutritious diet and avoiding tobacco. But most importantly, being vocal with a professional that can best offer insight and information. Charcoal you say? Why would I ever want to put charcoal into my mouth…? Its black, how CAN it whiten? Your hollywood dentist explains how a holistic home remedy involving the use of activated charcoal to whiten your teeth may have some success. 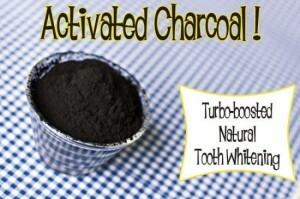 Activated charcoal is different from the charcoal you find in barbeques. The difference is simple: regular charcoal contains many impurities; whereas activated charcoal does not. So how does activated charcoal relate to my teeth? The amazing part of this natural remedy is its adsorption qualities. It has a remarkable ability to adsorb the “junk” that has been essentially glued to your enamel, causing discoloration ranging from yellowish to brown. Note the difference between adsorption and absorption. Activated charcoal undergoes adsorption, which is a surface-based process in which a substance doesn’t completely enter another, but, in simple terms, hangs onto another substance. Absorption is a process in which a substance fully emerges with another. Enamel surface stains are often the result of the usual culprits: coffee, tea, wine, and many different foods. The activated charcoal works to pull any toxins from your mouth and efficiently remove surface stains from your teeth, making it a great holistic teeth whitening tool. Activated charcoal likes tannins which are often in tea, and coffee and cause stains. If you’re curious in learning what you should do, then we advise you to pick up activated charcoal in powder form. You can open up the capsules with the powder in them, and use them that way. Your local grocery store may have it, natural foods store, or drug store. Worse comes to worst it can be found online. 1. Brush your teeth normally. 2. Mix your activated charcoal with a little bit of water, making it easy to swish. 3. Swish it around for up to 1 minute. 4. Hold it in front of your teeth for up to 5 minutes. 5. Rinse your mouth out with water. We admit, it looks somewhat intimidating to put what appears to be a nasty black substance into your mouth, but it’s the end results that we truly care about. You may even be wondering how such a black substance doesn’t actually end up staining your teeth as it looks darker than black coffee. That’s the magic behind it! Natural remedies, especially ones that work, are the best. 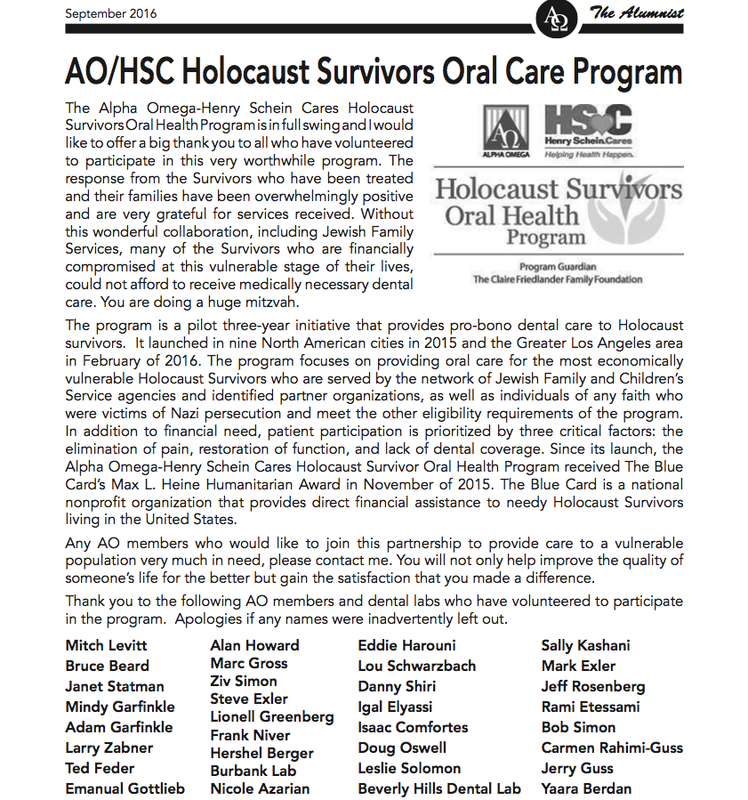 You could read more on other holistic approaches to your oral health! Life can move quickly and for many Americans flossing isn’t necessarily a top of the line priority, even if it should be. According to a recent study led by Duong T. Nguyen, it is scientifically possible to categorize Americans into three categories: Those that floss daily, the ones that never floss and those that inconsistently floss. Duong T. Nguyen, a medical epidemiologist, developed the concept for his study while rummaging through his house looking for floss. As he searched for floss, he kept wondering just how many people ACTUALLY floss. With a bit of research, Nguyen discovered that no rigorous or official studies had been made on the subject. He then took it upon himself to create a scientifically valid analysis. • Males (39 percent) were more like to report never flossing than females (27 percent). • People 75 or older (45 percent) were more likely to report never flossing than those age 30 to 44 (31 percent). • Non-Hispanic blacks (40 percent) and Hispanics (38 percent) were more likely to report never flossing than non-Hispanic white adults (30 percent). • Low-income participants (49 percent) were more likely to report never flossing than those in higher income brackets (28 percent). If properly done, flossing removes all food particles that tend to stick to teeth and create bacteria. Usually, if left untreated or uncared for, this bacteria can create inflammation and many times gum disease. Over time, the bacteria creates ‘colonies’ which are commonly known as plaque. The bacteria hardens into tartar and wear away at the gums and bone, eventually causing tooth loss, which is never a good thing.